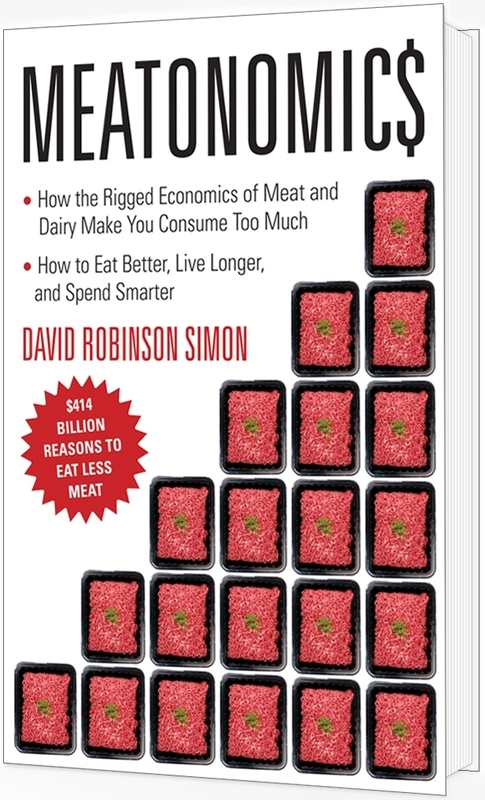 How about a unique, original copy of Meatonomics signed by the author and inscribed to anyone you choose? The price is only $19.95, plus $5.00 shipping/handling (within the U.S.), for a total of $24.95. To order, click Buy Now below. Shipping generally takes about a week. The book will be inscribed to you (the person placing the order), UNLESS you request a different inscription. For an inscription to someone other than you, before checking out, click the link below the shipping address which asks for “dedication name(s).” Indicate any name(s) and special instructions in the text field.